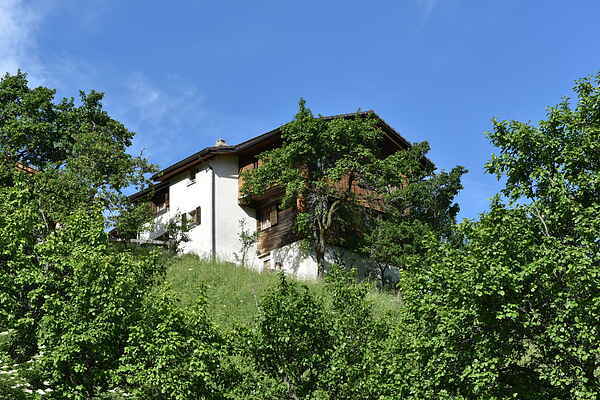 Chalet Edge is located in a quiet spot in the hills above the small town of Grengiols. The house offers a spacious holiday home on the ground floor. The interior is nicely furnished and finished with a lot of wood. From the house you can walk straight into the mountains. You will be staying Wallis, where it's sunny 300 days a year, directly under the Bettmeralp and the Riederalp; the Binntal is around the corner and within an hour you can be at the foot of the mighty Aletschgletcher or in the train to Zermatt, with a view of the Matterhorn as your reward! You can park in the street and walk about 100 metres over an unpaved road (not steep). The first time you can drive the car all the way up to unload your luggage.